Trump Jr. and Manafort are expected to be questioned about allegations Russia meddled in the 2016 U.S. presidential election and possible collusion with the Trump campaign. WASHINGTON: President Donald Trump's son Donald Trump Jr., son-in-law Jared Kushner and former campaign manager Paul Manafort were asked to appear before U.S. Senate committees next week to answer questions about the campaign's alleged connections to Russia, officials said on Wednesday. The appearances of such close associates of the president represent a significant development in the months-long effort to probe Russian meddling in the 2016 U.S. presidential election and possible collusion with the Trump campaign. Trump, who came into office in January, has been dogged by allegations that his associates were connected to Russia, which U.S. intelligence agencies have accused of interfering in last year's election. Trump has denied any collusion. 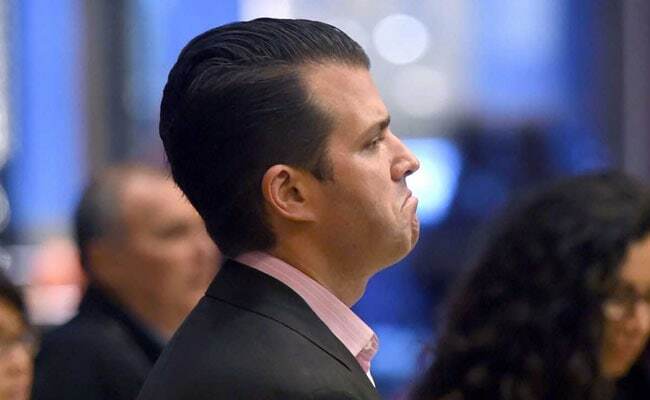 The U.S. Senate Judiciary Committee said on Wednesday that it had called Trump's eldest son, Donald Trump Jr., and Manafort to testify on July 26 at a hearing. The president's son released emails earlier this month that showed him eagerly agreeing to meet last year with a woman he was told was a Russian government lawyer who might have damaging information about Democratic presidential candidate Hillary Clinton. The meeting was also attended by Manafort and Kushner, who is now a senior adviser at the White House. Kushner is scheduled to be interviewed by the Senate Intelligence Committee on Monday, July 24, behind closed doors. "Working with and being responsive to the schedules of the committees, we have arranged Mr. Kushner's interview with the Senate for July 24," Kushner's attorney, Abbe Lowell, said in a statement. "He will continue to cooperate and appreciates the opportunity to assist in putting this matter to rest." The Judiciary Committee announced Trump Jr. and Manafort's appearance in a statement on its website. Senator Sheldon Whitehouse, a Democratic member of the Judiciary Committee, said that committee's hearing would enable the panel to begin to get testimony under oath. "There has been an enormous amount that has been said publicly but it's not under oath, which means that people are free to omit matters or lie with relative impunity," Whitehouse told CNN. The Senate Intelligence Committee is conducting one of the main investigations of Russia's meddling in the 2016 U.S. election and possible collusion by Trump associates, but the Judiciary committee has been looking into related issues. The public Judiciary hearing on Wednesday will look into rules governing the registration of agents working for foreign governments in the United States and foreign attempts to influence U.S. elections. Chuck Grassley, the committee's Republican chairman, has said he wanted to question the Trump associates, but has also raised concerns about why the Obama administration allowed Natalia Veselnitskaya, the Russian lawyer who attended the Trump Tower meeting in June, into the United States. He also has called before the committee and threatened to subpoena Glenn Simpson, a co-founder of Fusion GPS, a firm that commissioned former British intelligence agent Christopher Steele to dig up opposition research on Trump, when he was a presidential candidate.